What a find! This beautifully renovated ranch in Southglenn has it all! Top-to-bottom, this home is picture-perfect. Open and modern, the living and dining rooms showcase elegant crown molding, neutral paint and brilliant hardwood floors. The kitchen is spectacular, graced with attractive grey cabinetry, slab granite countertops, glass tile backsplash, new tile flooring and stainless steel appliances complete with a gas range and stylish range hood. Three main-floor bedrooms offer gleaming hardwoods, abundant natural light and share a gorgeous remodeled bathroom. Spread out in the wonderfully finished basement with a spacious rec room, two large bedrooms and a stunning bathroom, perfect for guests! Plenty of room for outdoor enjoyment in the expansive backyard boasting a paver-patio, mature trees, and a convenient storage shed. Take in the peaceful neighborhood from the covered front porch. 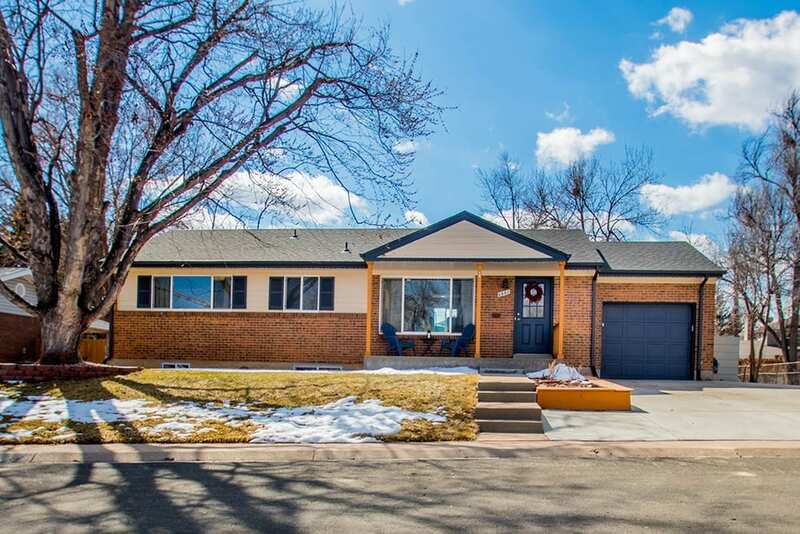 Prime location, walking distance to Southglenn Country Club and just minutes to exceptional Littleton schools, Streets at SouthGlenn, Highline Canal Trail and more! New a/c unit installed in 2018. In 2015, all the following upgrades were completed: new double pane windows, including egress in the basement, new roof, sprinkler system, interior and exterior paint, custom cabinets in kitchen and upstairs bath with soft close doors and drawers, new plumbing fixtures, new electrical panel, new interior and exterior doors and original hardwood floors sanded and refinished. Don’t miss your chance to own this remarkable home on a quiet street in Southglenn!